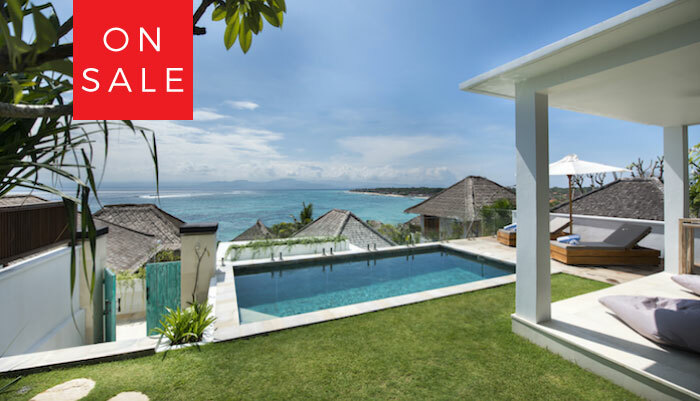 Bersantai Villas looks across the famous surf breaks lacerations, playgrounds and Shipwrecks. 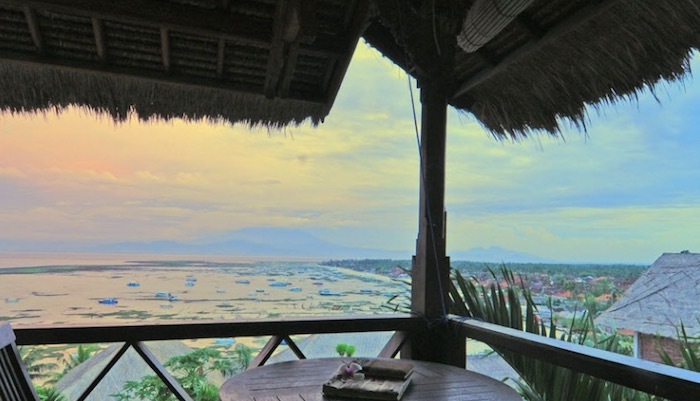 Facing north with stunning views of Mount Agung. A perfect location just 2 minutes walk to the beach, best bars and restaurants. Bersantai Villas, have been designed with super-king beds dressed with mosquito nets, 100% Egyptian Cotton Linen, Bathrobes, Coconut soap, luxurious Bath and Pool towels. Traditional Balinese hand carved details, surrounded by water features in a garden oasis. 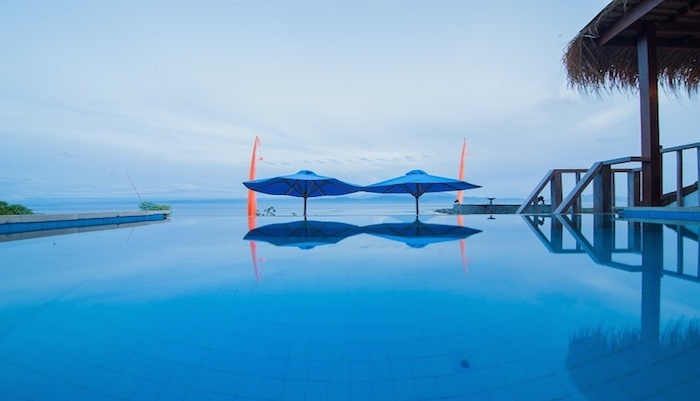 Bersantai offers a tranquil haven for couples, individuals, groups or families. Bersantai Villas staff are all local to Lembongan and aim to deliver a genuine Balinese experience. The staff pride themselves on making you feel at home and are on call from 8am until 10pm to arrange dinner reservations, motorbike hire, in room massage, snorkelling / boating adventures and anything special requests you may have. 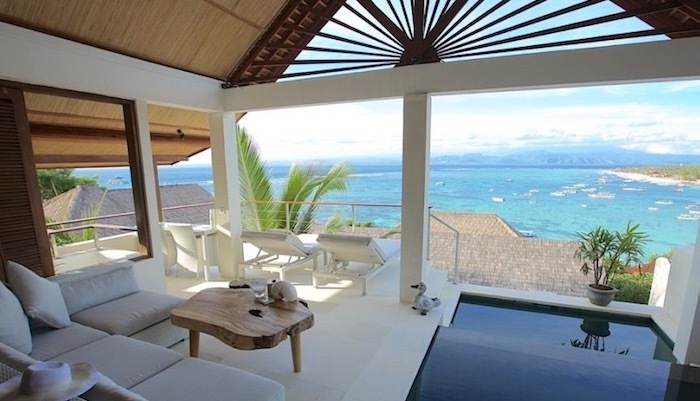 Kundalini Villa is a 2 Bedroom, 2 Bathroom Villa with private pool. Most suited for families, with an open ceiling between bedrooms. 1 x King bed (cannot separate) & 1 x King bed that can split into 2 x single beds. Air-conditioning in Master bedroom and living room. Kitchenette, sun loungers and ocean views. Breakfast not included. Ganesh is a 2 Bedroom, 2 Bathroom Villa. 2 x master bedrooms with super king beds (cannot separate) 2 x day bed for child option. Both bedrooms have stand up fans ( no a/c). Located at the top of the property with ocean views, modern kitchen, dining and living. Large outdoor bale, private pool. Breakfast not included.